We have reached week number two of the climate negotiations, and I have noted that more and more countries are supporting the goal of maximum 1,5 degrees temperature rise, instead of 2 degrees. Even Australia (and they’re usually against everything) has given their support. Woho! 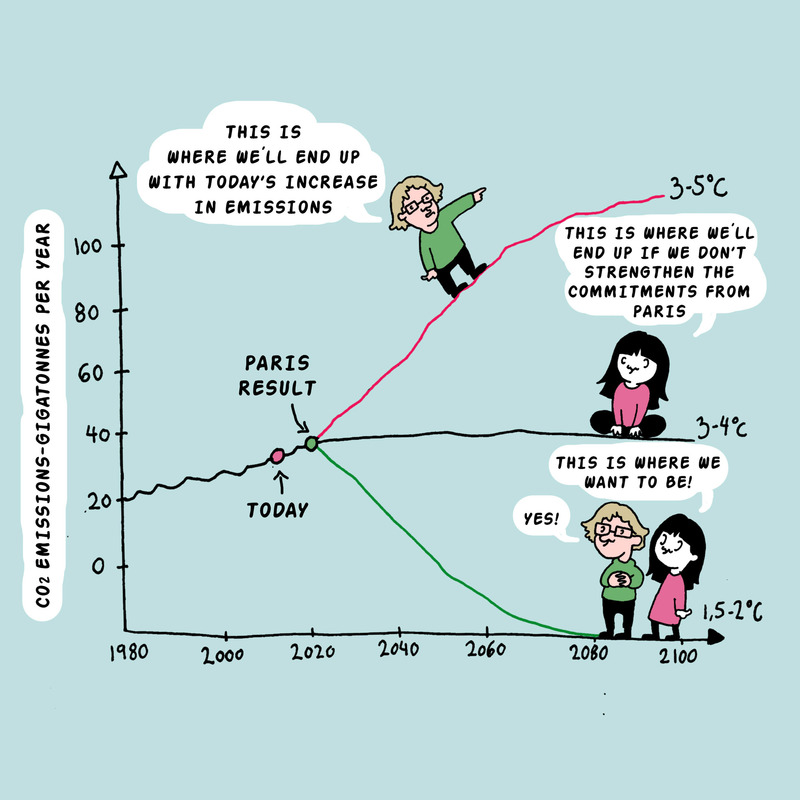 BUT: Whatever comes out of Paris, won’t be enough to reach 1,5 degrees, and avoid serious climate change. It won’t even be enough to reach two degrees. 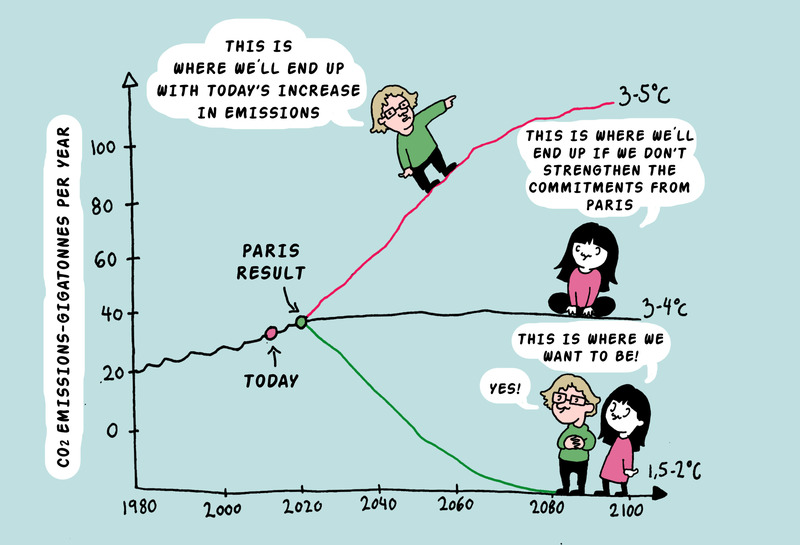 That’s why it’s so incredibly important to create a plan to follow up and strengthen the commitments in the time after the negotiations, so that we reduce our emissions to the necessary level. So yeah. This is what we have to do. However, many countries are quite reluctant to do so. My home country, Norway, included. Instead we intend to come up with different creative plans on how we can remove greenhouse gasses from the atmosphere. The problem is that it’s a little unclear what we’re going to do with the carbon, after we (potentially) manage to capture it. Will we manage to capture it forever? Where should we put it? Will it be safe? To me it seems much safer to develop nice and clean sources of energy, which doesn’t disturb the life in the oceans and on land. And by the way: I really really enjoy the sun, and I would prefer to be able to see it. So I vote no to the chemical cloud.